This Saturday is going to be a busy day for me. Ralph wants to go shopping. So yay! But, crowds of last-minute shoppers are expected at shopping malls this week before the Hari Raya celebrations on Sunday. Okay, not so yay. Besides that, our friend will come over to KL, all the way from Kuantan. So, we definitely have to meet up with our friend. Ralph has known this guy since they were back in college years. Both of them have passion for anything with shiny wheels, loud and wild sounds, something that goes fast and of course something with aftermarket parts and kits. What differentiate between them is Ralph's passion is more on the custom choppers and this guy loves custom cars. Recently they have been in communication for two months or so about the new transformation. This guy has just purchased a brand new Lexus Hybrid. However, he is still not really satisfied with the overall look of the car. Both of them have been brainstorming and surfing the net looking for the best car body kits for the Lexus. They finally found what they were looking for. 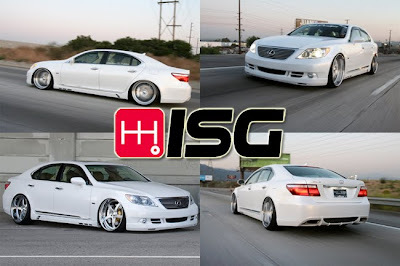 This company offers nothing but the best car body kits in town. The custom wheels are specially machined based on individual choice and taste. The designs are excellent and way out of ordinary. The other parts of body kits are perfectly fit and designed with purpose and accurate measurement by professionals in motoring world. In fact, these body kits are specially designed by most of the leading names in motorcar industry and world renowned customizers with superb and definite quality aftermarket products. That solves their problem in turning this guy's car into one hot ride which turns many heads when passing by. We all can't wait to see the results. Well, this Saturday is going to be a very long day for us. While we are doing some shopping, his friend's car is undergoing a massive transformation. I can smell a weekend coming up and I can't wait! u haven't bought any new clothes yet?? And then sure susah wan to find parking ..